High temperature electrochemical energy conversion and storage technologies, such as solid oxide electrochemical cells (SOCs), have emerged as promising alternatives to mitigate environmental issues associated with combustion-based technologies. There has been increased interest for nanoengineering SOC electrodes to enhance their efficiency. A major drive is the necessity for improved electrode kinetics via optimization of electrocatalysts for different key reactions in these devices. In this perspective, we discuss the requirements for SOC electrodes and nanoengineering strategies employed to achieve flexibility in electrode materials. We focus on identifying ways in which these nanoengineered materials foster advancements in the SOC electrocatalytic activity, selectivity, and stability. 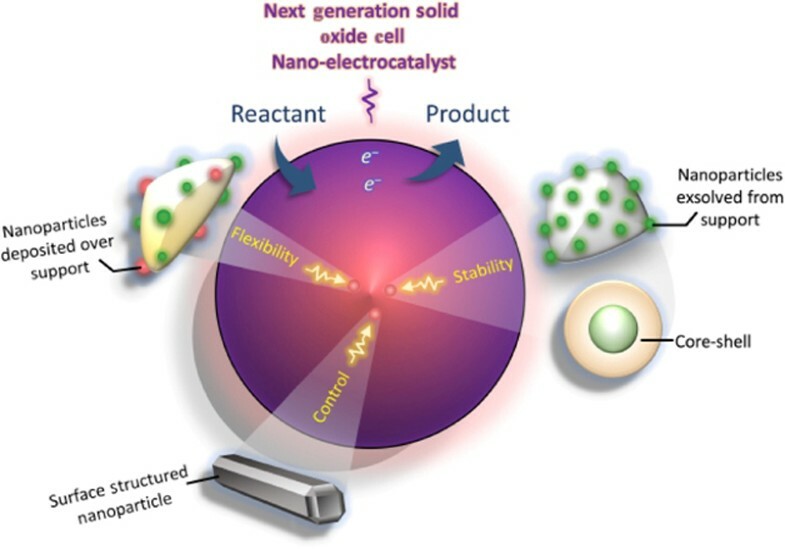 We conclude by proposing approaches that would lead to more stable electrocatalytic nanostructures with high degree of control over the number and nature of active sites. 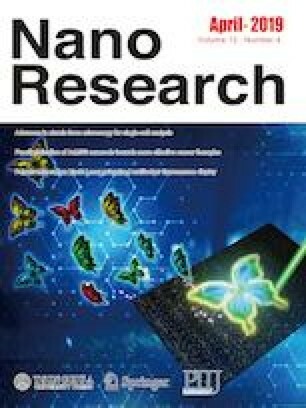 These nanostructures would enable systematic kinetic studies that could provide an in depth understanding of the reaction mechanisms that govern performance, leading to valuable knowledge for designing optimal electrode materials. We thank the financial support from the National Science Foundation (CBET-CAREER 1350623). The authors also thank the Lumigen Instrument Center at Wayne State University for the use of the X-ray diffraction (National Science Foundation MRI-1427926) and electron microscopy facilities (National Science Foundation MRI-0216084).